If the BVA had its way, a urologist (the doc that specializes in conditions of the urinary tract) would be competent to offer a medical opinion on the cause of a liver condition. Fortunately, the BVA did not get its way. In Maughan v. Shinseki, CAVC Cause No 12-2832 (February 10, 2014), the Court vacated and remanded the BVA decision. Now, Maughan is a “single-judge” decision, meaning that there is no legal precedent to follow as a “Rule of Law”. Even Non-Precedential Decisions of the Veterans Court have a LOT of Power. This week, we are looking at some Veterans Court’s case law that gives us so much more than an opinion and/or an expression of a Rule of Law. The Veterans Court rulings TEACH us how to improve our own claim. How do they do that? Its rare to see a Court give an outline of steps for litigants to follow. 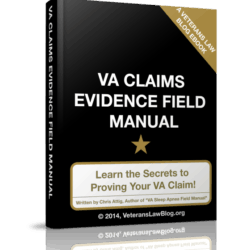 You’ll never see a court issue a ruling that lists the 8 Steps to Improve Your VA Claim. A Judge’s words mean a LOT of things, and one can deduce a LOT from what a Judge does – or does not – write. But when you string a lot of opinions from a particular court together, you start to see some real interesting patterns begin to emerge. For example, in 2012, some court observers began to notice what they perceive as the Court’s shift towards reliance on lay evidence – I’m not sure I agree that is what the whole “shift” was about, but I’m not debating that article here. The point is this: courts that act in an appellate capacity don’t just “Bang the Gavel” and make rulings. The Veterans Court’s opinions comprise a body of work, and that body of work has the power to shift the direction of the court – and an entire practice of law – in one direction or the other. From the Maughan case, a non-precedential single judge opinion, we can learn 6 concrete ways to challenge the adequacy of a C&P exam opinion. The (Relevant) Facts of the Maughan Case. The Veteran claimed he served in Bahrain in support of Desert Storm. For reasons that are unclear, the VA claimed that there was no evidence that the Veteran served in Bahrain. I don’t get this. There are ALWAYS orders, somewhere. I had written orders cut when I was sent, TDY, from Camp Tongducheon to Seoul to participate in computer simulations – “wargames” – testing strategies for a war on the Korean peninsula. Think those orders aren’t “out there” somewhere? I’ll bet you a homemade Chicken Fried Steak that if you give me a year, I can find them. 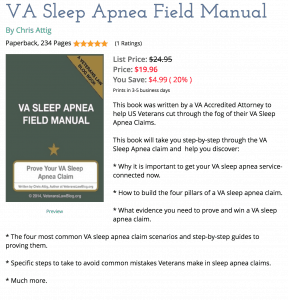 The trick is to patiently – and thoroughly – follow these 5 steps: 1) find where the trail starts, 2) pull the string, 3) keep pulling, 4) be patient, its going to take time, and 5) don’t accept the VA’s position that it has been unable to find the records. Regardless, while serving in Bahrain, the Veteran claimed exposure to a chemical compound known as hydrazine, and in 2007, claimed service connection for the resulting liver conditions that had been diagnosed, post-service, from 1999-2007. Liver conditions can be very hard to live with: read what Hepatitis C and cirrhosis did to one Veteran. The VA denied the claim in January 2008, and 3 years later in March 2011, the BVA remanded the case for additional development. In remanding, the BVA instructed the VARO to get a medical opinion from a “hepatologist” or “gastroenterologist”. The BVA said to get an opinion from these docs “if at all possible”. This proved to be key language in the case. Why? The VA ended up sending the Veteran to a urologist for his opinion. Importantly, the Court relied on Stegall v West – one of the 10 Court Cases that I think every Veteran should know. The core concept behind Stegall is that the Veteran is entitled to have the VA, and the BVA, fully follow Remand Orders . 6 Ways to Spot a Valid Challenge to VA C P Exam Results. I’ve said it before, if you don’t think that your C&P Examiner was competent to opine on your case, you HAVE to challenge the examiner and, in the first place, lodge your objection to the medical expert that the VA chose. 1) The examiner, without explanation, uses the words “without resort to mere speculation”. These words are used in at least 50% of the VA C&P Exams that I review. And – not once – have I seen an opinion that properly uses them. If the BVA is going to be able to rely on the examiner’s “Speculation Conclusion”, the examiner’s opinion and review of the evidence must demonstrate that “no medical expert can assess” the nature of the claimed disorder of that ‘the valid application of current medical knowledge could yield multiple possible etiologies with none more likely than not the cause of Veteran’s disability.” Jones v. Shinseki, 23 Vet. App 382, 390 (2010). In other words, the BVA can only accept “can’t resort to mere speculation” opinions that demonstrate the actual speculation that would need to occur. 2) For rare, or complex, medical conditions, the examiner fails to fully describe your medical condition, possible etiologies. The BVA is going to weigh FACTS. If you have a complex medical condition, and the Board does not have an adequate factual understanding of the condition, then how can it weigh those facts? Now, the Examiner and the BVA will probably get away with opinions that don’t have a lot of etiological description, or explanation of symptomatology for more common conditions. More complex and rare conditions are going to need a lot more factual development so that the BVA and the Veterans Court can understand the intricacies of the Veteran’s unique medical situation. 3) The examiner is outside his/her area of expertise or specialty. In the Maughan case, one is left to wonder how a Urologist – Urology is the area of medicine that studies the urinary tract – has sufficient expertise to opine on the etiology and causation of a condition of the liver. 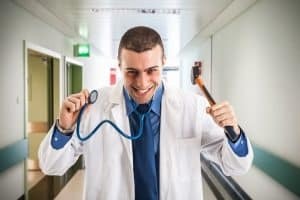 This is an important point – the BVA frequently presumes that all doctors know all medicine – unless they are pushed to see something different by a proactive Veteran taking the time to properly prove up his or her claim. I see a LOT of C&P opinions where the examiner is a specialist commenting on a general condition, or a generalist opining on a specialized condition. My favorite is the anesthesiologist that offered an opinion on a rare nerve disorder. The VA is – if you believe their commercials – the world’s largest health care provider. 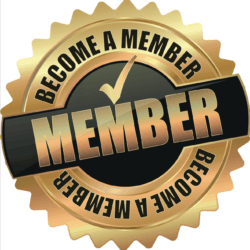 Insist on a qualified expert in your VA exam. There are several types of docs I have not yet seen employed by the VA, including maternity care, pediatricians, and forensic pathologists. 4) The examiner does not cite to medical materials used in his/her research. In the Maughan case, the Court appeared frustrated that the examiner included a printout from a web address as part of his “research”, but did not indicate whether he actually reviewed the information printed out from that web site. If you use the internet, show where you got it from. From the Veteran’s side, be sure to include a sworn declaration showing – at least – the date you last visited the site, that it is a true and accurate printout of what you read there, and provide the correct URL to the BVA or the Court. From the VA’s cite, if the examiner says he did a bunch of research, but its not listed on the exam, or as material relied upon in the VA Ratings Decision, your exam might be inadequate. 5) The examiner cites to outdated materials used in his/her research. 1987 was a LONG time ago. Bon Jovi was popular in 1987. They still are popular 25 years later. Medical research can be a lot like Bon Jovi – it just keeps going, and going, and going. Most of it, like Bon Jovi (arguably), gets better with age. And if it doesn’t continue, and doesn’t expand our understanding of medicine, then the credibility of that research is in question. In the Maughan case, the examiner cited to a 25 year old report published on a website, and stopped his research at that point. “It is beyond belief that research on this topic, which had been extensive, suddenly ceased in 1987, and that the examiner’s thorough research turned up nothing of note written since that time”. 6) The examiner ignores favorable medical information. In this case, the examiner relied on a printout from a website that appeared to actually state that the at least one or more of the conditions the Veteran suffered from were caused by the chemical exposure he complained of. The smart Veteran is going to notice things like this in reviewing the VA C&P Examiner’s opinion – well in advance of the BVA hearing – and have plenty of time to present a different perspective…..
…..that Veteran makes the time to get a copy of their C&P Exam Packet. How do you GET Information to Challenge VA C P Exam Results? One way is to use Gambill v. Shinseki, 576 F.3d 1306 (Fed. Cir. 2009) – the case from the Federal Circuit that tells Veterans that they can request information about their Examiner’s background, experience, CV, etc. 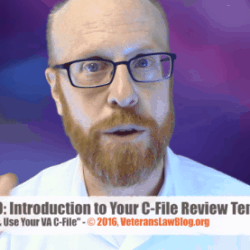 Another way is to use the Freedom of Information Act, and specifically request this information, as you would for a C-File or the C&P Exam itself. Another way is to be SURE to include this language in your Notice of Disagreement and VA Form 9…give an attorney a fighting chance to fix this area of law at the Court of Appeals for Veterans Claims.